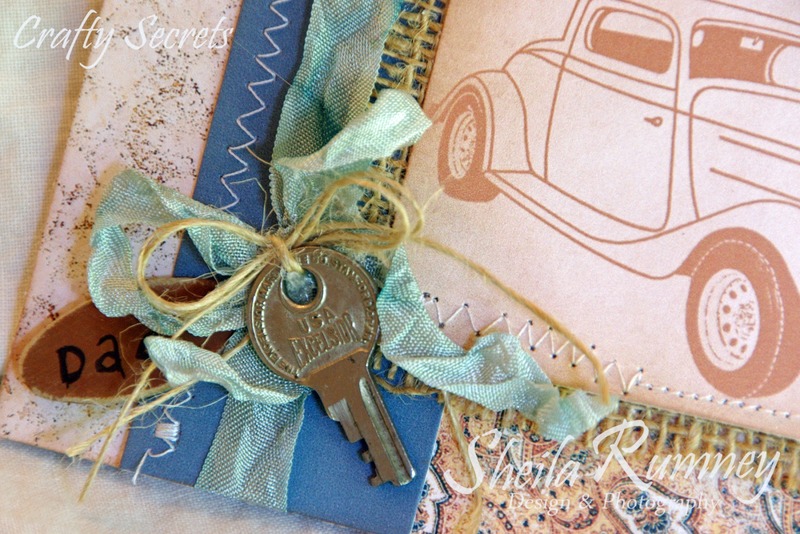 Today, I joining the Crafty Secrets Design Team Challenge. This month we are focusing on the new Crafty Secrets Digital Double Sided Papers. I used the Crafty Secrets Double Sided Brown Paisley to create this True Classic Card. I used Photoshop Elements 11 to create this tutorial. Open up your digital paper file. You may need to enlarge your pattern to click on the color that you want to copy. Click on the eyedropper - Color Picker Tool then move it to the color that you would like to copy. Click on the color to create the coordinating solid color. It will change color in the foreground color box. Next click on the File>New>Blank File to open a new file. Measure your artwork and put in the Width and Height. Make sure that the resolution is 300 pixels/inch. This will ensure a good print quality. Change it to RGB Color and White Background. The file will now be on your screen. Create a new fill or adjustment layer by selecting Solid Color. It will then fill the foreground layer from the color chosen. Click OK to set. Save as a .jpg for easy printing. I then open my Word document and started copying and pasting onto document. Once printed I cut out and assembled the card. Head on over to the Crafty Secrets Blog where you can link up and post a project you completed using Crafty Secrets products. Everyone who enters receives a $6 gift card to Crafty Secrets Online Store and 1 random winner gets a $50 gift card! 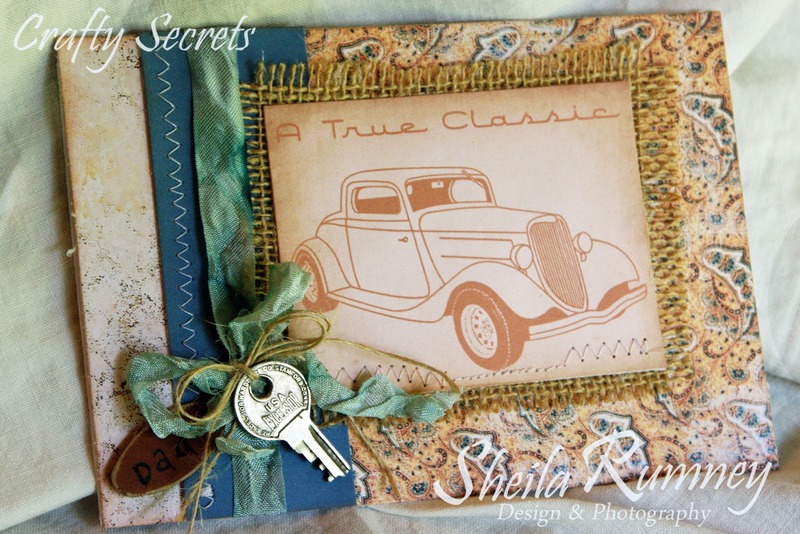 I love all the texture in this gorgeous card, Sheila. I'm so impressed with your Photo Shop skills! Thrilled to be on the team with you! Great cards and tutorial Sheila!! WOW fabulous tutorial and LOVE this card creation! I need to stop back when I can actually go through step by step and give this a try. I can see I can learn a lot about PSE through you! AWESOME!! Thanks so much! Have a wonderful day! Your card was very pretty and I love the double sided papers! Beautiful card Sheila!! And what a great tutorial!! I need you to give me personal lessons!! Fantastic card. What a great idea to coordinated with the colours in the patterns - genius! Congratulations. What an honor! you are just a star!